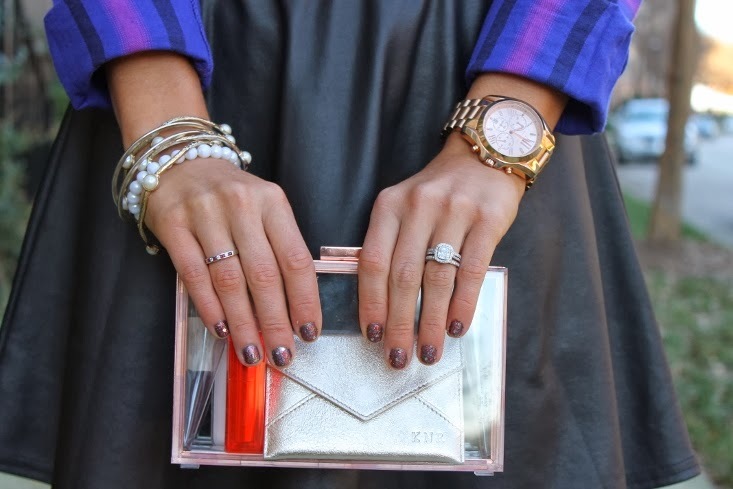 Holiday Party season is in full effect and if you're not sure of what to wear - don't worry! I'm sharing an easy and super simple outfit idea today! This is great! i love the purple plaid. so comfy but yet still so classy and polished! So adorable!! Love plaid and leather together! This is an awesome match....a purple plaid is so perfect with that flirty leather skirt!!! I love this! The jewels and accessories, that great skirt and top! So fun! Love everything about this. I'm having a moment with plaid myself, so I love the top! The necklace is the perfect accent piece to dress it all up. Oh I love love love this look! Especially the booties - you look fab as always! OMG Nikki, I would so wear this outfit! It is perfect!! The necklace is gorgeous!